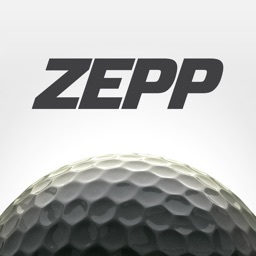 It’s a proven fact that matching your tempo to that of the PGA Tour Pros with the internationally acclaimed Tour Tempo Tones is a way to instantly improve your golf swing. 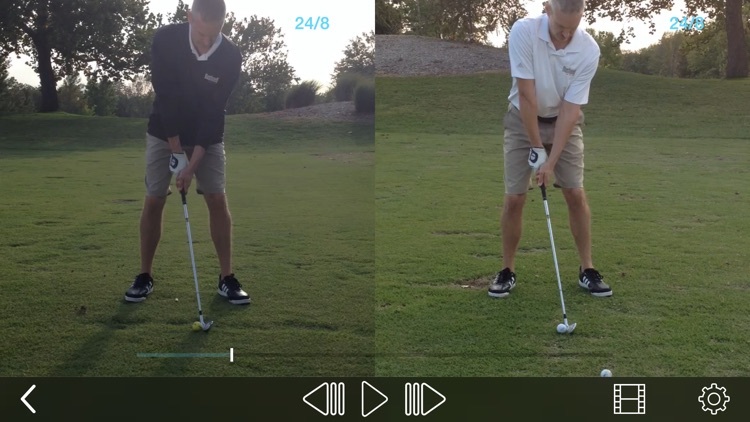 The first thing you need to do is find the current tempo ratio of your swing. 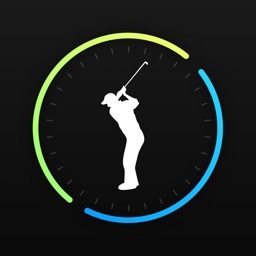 The Tour Tempo Frame Counter App is the easiest and quickest way to do that, because it allows you to view and count sport action video, specifically the golf swing, by advancing the video one frame at a time. 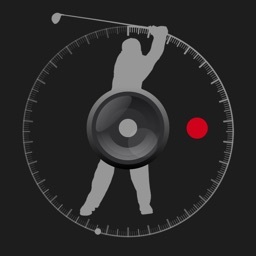 Once you have the tempo ratio of your swing, you then can compare it to the tempo ratio of your favorite PGA Tour Pro. 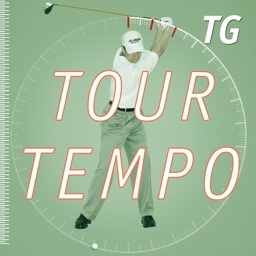 Tour Tempo is the name of the international best selling golf book that explained how amateur golfers could dramatically improve their ball striking – instantly, in most cases – by copying the tempo of the Tour Pros. 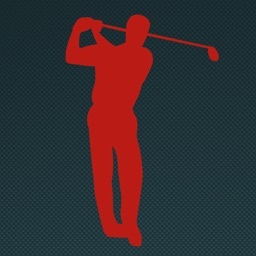 It outlined the discovery of a specific mathematical ratio regarding the elapsed time of the backswing and the elapsed time of the downswing of the Tour Pros. By using this correct ratio, Tour Tempo allows you to learn how to correctly integrate the Tempo of the Tour Pros into your golf swing – both the Long Game and the Short Game. "It will be the best thing that you will ever do for your game." "You will get better right away! 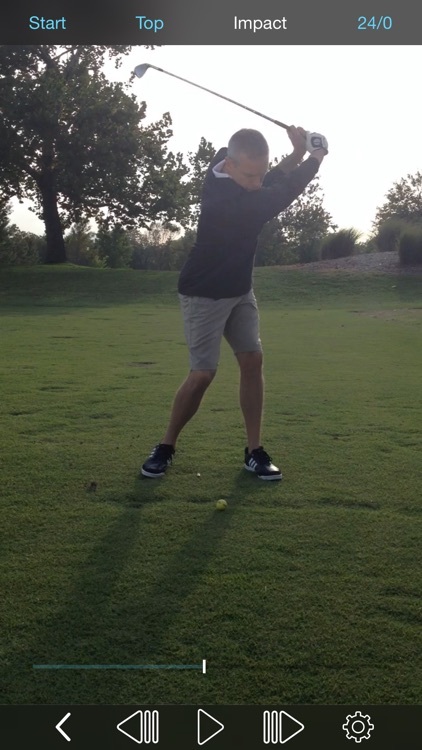 When you synch your swing to that of the Tour Pros with Tour Tempo, you’ll get better right now!" "No one has ever come up with a way to teach Tempo until now." In order to improve your tempo, it is helpful to learn what your swing tempo is and have an easy way to track it as you go along. 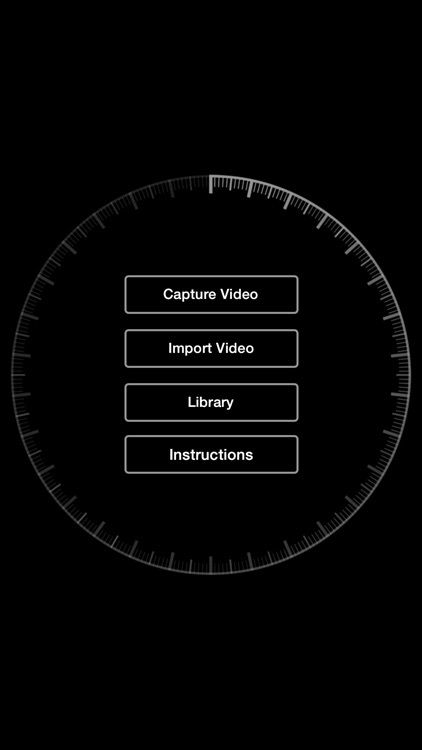 That’s where the Frame Counter App comes in. 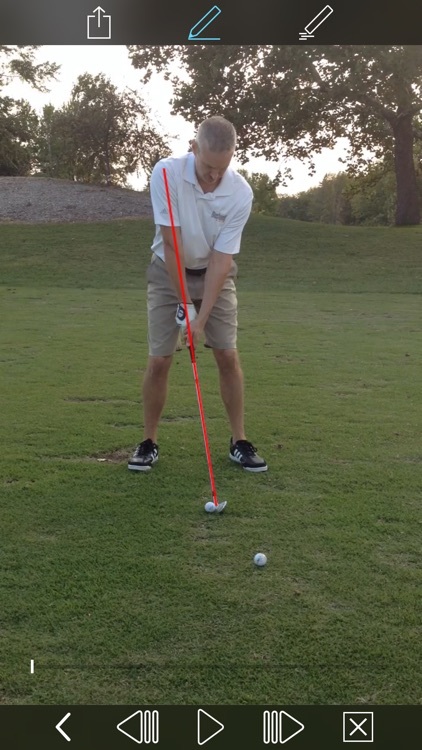 There are three important points in the swing used to determine tempo – the start of the takeaway, start of your downswing, and then when the clubhead arrives at impact. 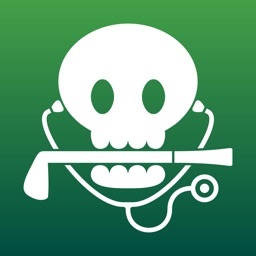 The Frame Counter App makes it easy to quickly determine your tempo on the range or on the course. 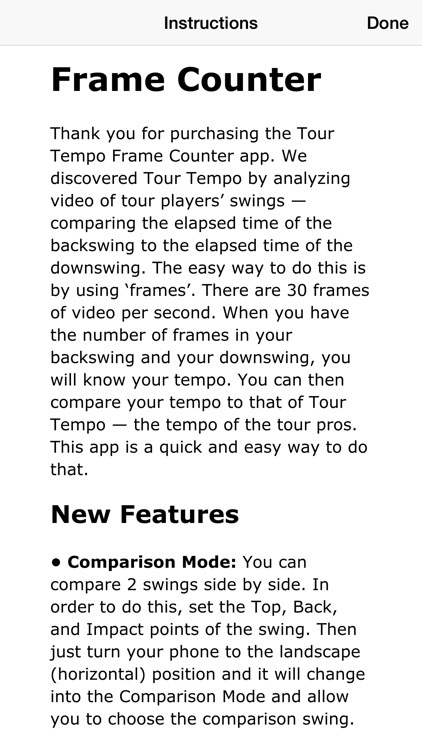 Find your Tour Tempo now with the Frame Counter app.